for $624,888 with 2 bedrooms and 2 full baths. Take a 3D Tour, CLICK on the 3D BUTTON & Walk Around. Watch a Custom Drone Video Tour, Click on Video Button! 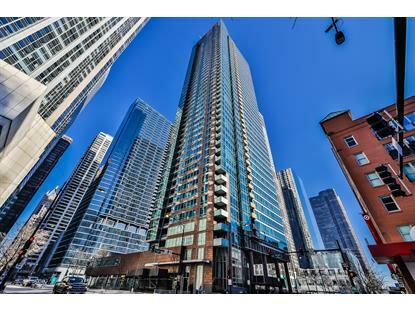 Modern 2Bed/2 Bath Southwest corner unit in the heart of Streeterville! This unit is wrapped in windows that flood the unit in natural light & gives you fantastic city views. Open layout is perfect for entertaining. Chefs kitchen w/granite counters, backslash, & stainless steel appliances. Master bed features WIC & ensuite bath w/ jetted tub, double vanity, & separate shower. Spacious 2nd Bed. Unit features hardwood floors, in unit washer and dryer, & private balcony. Garage rental parking available in the building. Full amenity building w/ doorman, fitness room, sundeck, party room, storage & more. Easy access to LSD and multiple bus routes. 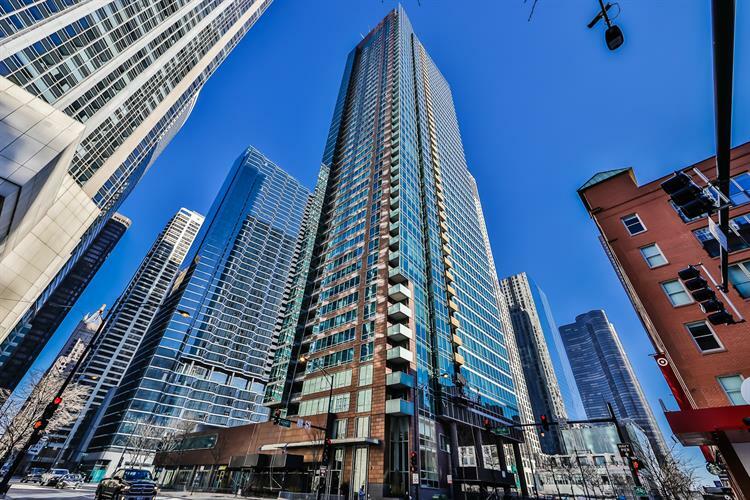 Step out your door to Lake shore trail, Ohio St Beach, Target, Navy Pier, Michigan Ave shopping, Whole foods, restaurants, nightlife, & everything Streeterville has to offer!